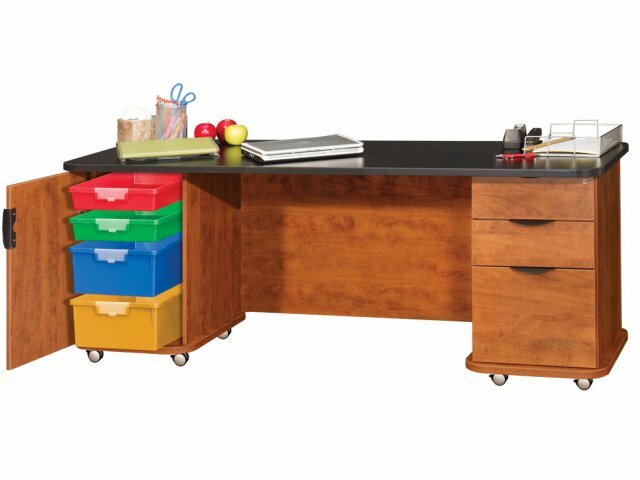 Empowered Innovative Teachers Desk with Power Strip 72"x26"
Discover the magic of empowerment with the Empowered Teacher's Desk from Hertz Furniture. This innovative desk offers a winning combination of power and flexibility for cutting-edge classrooms. Electronics are an integral part of today's teaching. 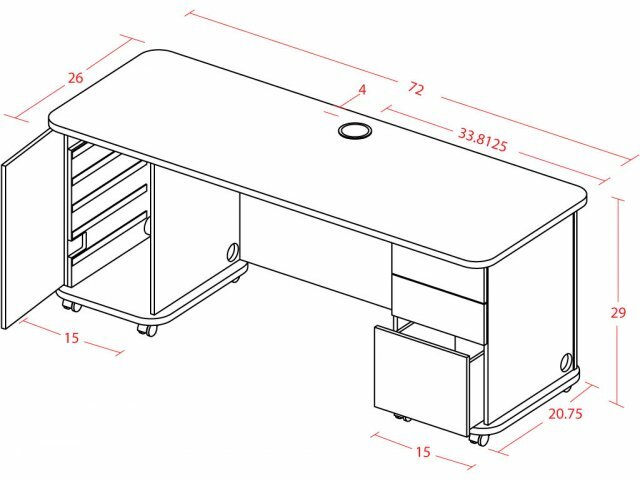 The Empowered teacher's desk features a built-in power/data strip in the knee-space area, enabling teachers to fully utilize electronic devices while being there with the students, not stuck to wall outlets at the side. Effective classroom setup means flexibility, and the Empowered desk gives teachers free reign. Eight heavy-duty casters allow free mobility in the classroom, while the 26" width fits easily through interior doorways for smooth transition between classes. 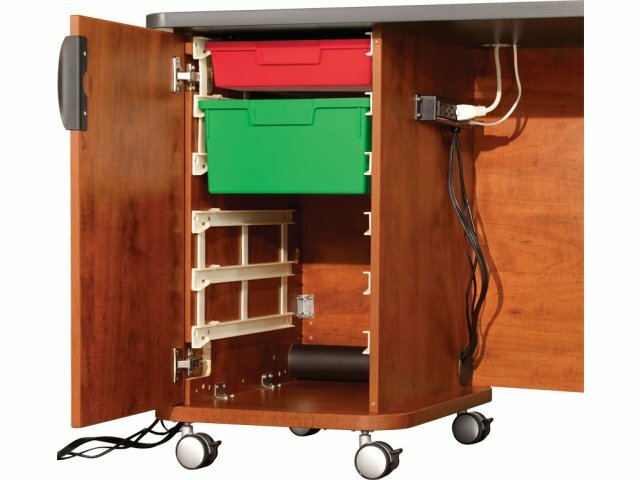 And ample storage options keep supplies handy wherever they're needed. Power, flexibility, mobility. 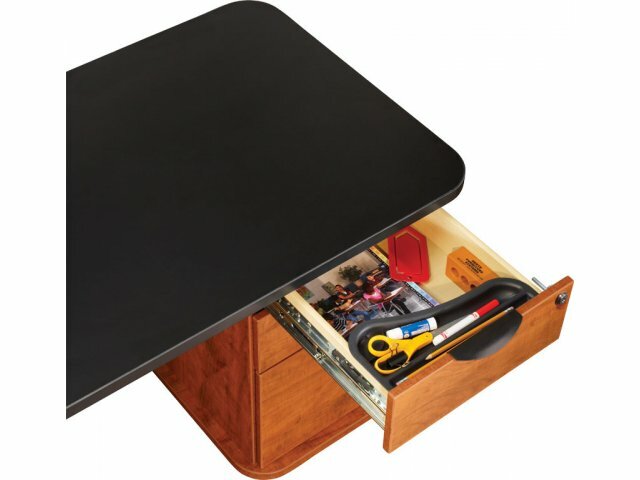 Empower yourself with the teacher's desk of tomorrow - today. Candex Custom has been producing custom office furniture for over a decade. 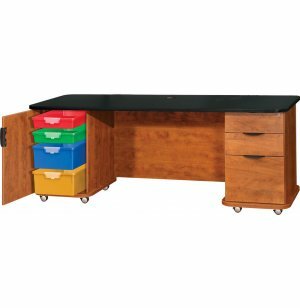 Executive and teacher's desks, cabinets, conferences, bookcases and more are all available in a wide range of fully customizable colors, materials, sizes and designs. 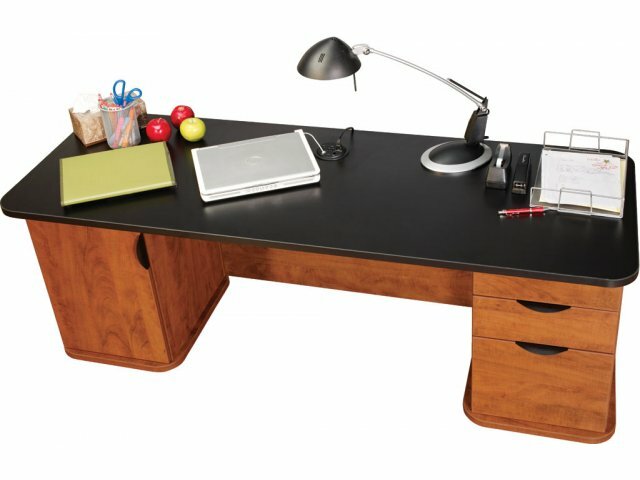 Full Empowerment: The Empowered desk gives teachers complete power over classroom setup and teaching methods. 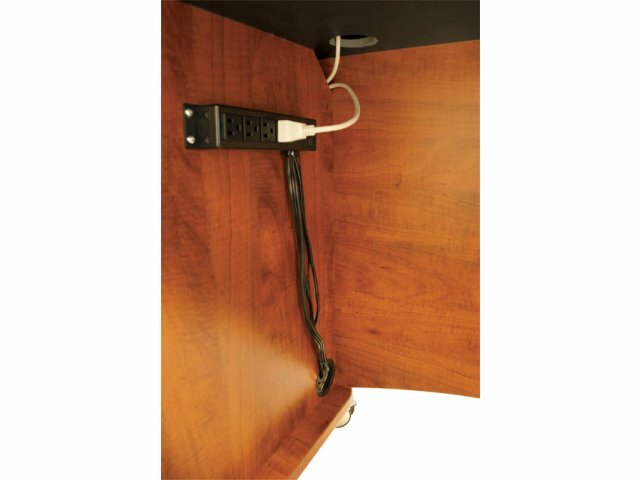 Technology Equipped: Multi-outlet power/data strip built into the knee-space area, allows teachers to utilize electronics without being limited to outlet location. 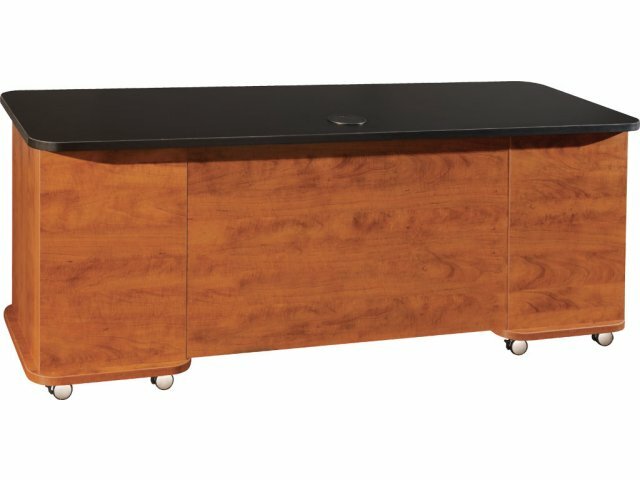 Super-Portable: Eight extra-large, heavy duty casters allow the desk to be moved with ease around the classroom or between classes. 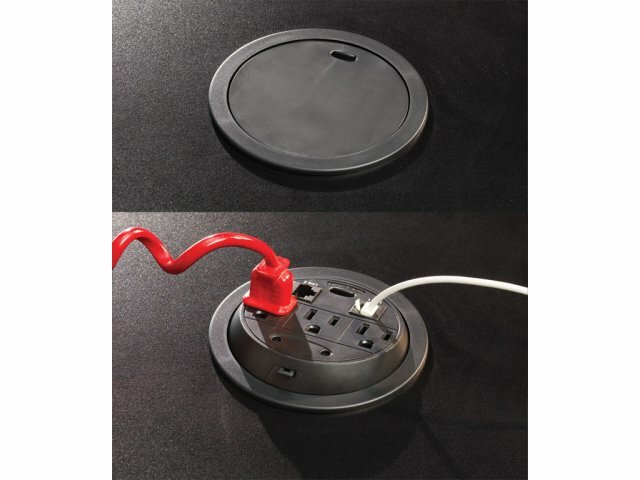 Flexible: 15-ft power cord can be routed from knee space through the inside of either the left or right pedestal to connect to the closest wall outlet. 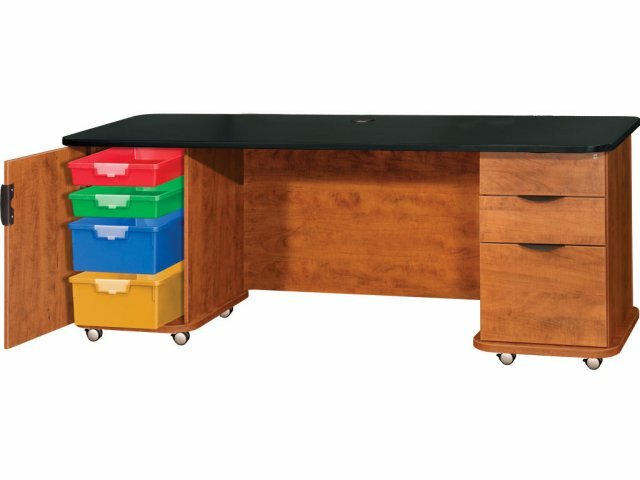 Extra Strength: Made of 1"-thick industrial-grade particleboard with heavy-duty casters, this teacher's desk is built to last. Clutter-Free Workspace: Flip power/data port routes wires straight to devices for a wire-free desktop. 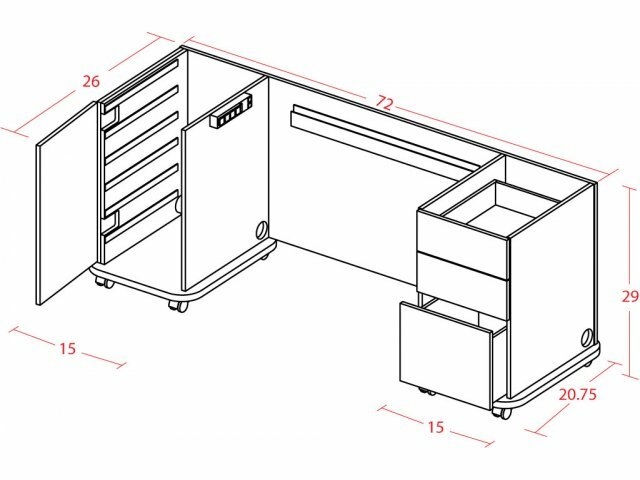 Storage Options: Four spacious bins (two 3"H and two 6"H) and three locking drawers allow plenty of space for storing supplies and personal belongings. Note: This item is custom-made and is therefore not returnable.